It’s not just the one person standing behind the bar but the whole team to sit and hash out ideas on how to promote sustainability. -“It depends on the flavors that go with each food and drink. The idea is to have unique combinations that would create some kind mystery but leave an everlasting impression, sometimes even including off-beat combinations like bone broth and bacon, a cocktail paired with a savory food item,” says Prasanta Nandi, Assistant Manager, Food & Beverage , Sheraton Grand Bangalore Hotel at Brigade Gateway. And, we all know that the sky is limit. Bartenders need to see how they want to bring their cocktail to life and experiment accordingly to allow everyone the highest levels of satisfaction. “Cocktails have always had a complicated relationship with food, but the conventional thinking with cocktails was that they were too strong to be paired with a good meal, and should be enjoyed on their own,” adds Karthik, Head of Beverages, Byg Brewski Brewing Company which has setup a name when it comes to night life scene at Bengaluru. Whipping up a truly memorable cocktail is heavily dependent on the two key factors of portion and proportion; striking the right balance is all about how much of an ingredient is used in relation to the other components of the cocktail, including the food it is paired and/or infused with. “We are currently in the process of developing healthy shooters, but have previously not just dabbled in food inspired, but also beverage inspired cocktails with coffee infused cocktails, which we noticed go down rather well with connoisseurs,” Nandi further explains. Cocktails are classified not by style, strength or spirit, but by spice- kitchen staples like coriander seed, fennel seed, star anise and saffron to pair with food. A collaboration between bartenders and chefs always offers a memorable experience to guests. Bartenders learn cooking techniques which they can incorporate into cocktails like sous-vide: seasoning with flavoured salts, niche presentation etc. Sustainability has become big at restaurants today. All restaurants are expected to be a part of sustainability in some manner. “At the moment the industry is seeing the next step in sustainability with more bartenders and bar owners not doing just small changes but rather designing and re – designing bar programs with sustainability at their core,” points Anirudh Kheny, Partner, 1Q1 Kitchen & Bar. The global trend of sustainable bartending can be seen India. It’s the idea of looking at small things that can contribute to a large amount of wastage and correcting that. It’s not just the one person standing behind the bar but the whole team to sit and hash out ideas on how to promote sustainability. “We believe in the importance of training as a method of broadening our horizons with regard to new techniques and trends towards sustainability, and ensure our bartenders participate in a minimum of two national or international scale events to not just compete for the sake of winning, but also understanding the way in which techniques have been implemented across the board to enhance our own skills and understanding,” shares Nandi but adding that High Ultra Lounge, one of the group’s key beverage serving venues has made the transition to paper straws, and discourages the use of plastic in its entirety by installing state of the art technology to prevent the usage of single use water bottles as well. Bar tenders play around menus that undergo a ‘twist’ of sorts seasonally, since it is imperative to work with seasonal ingredients while looking to produce a fresh take on cuisine being served. “We have previously paired Oysters with gin, Latin cuisine with scotch, and whipped up Mushroom infused drinks to ensure that we keep pushing ourselves to innovate and cater to fresh palates,” adds Nandi. It is often seen that restaurateurs are passionate and they pour their love for food into their business. But passion alone will not build a successful restaurant. Supply and demand governs businesses in the market, including the restaurant industry. To be successful in this industry we need to understand how these forces impact us. “In today’s day, trends play a large role, millennia’s travel a lot, they are very trend conscious, and keep abreast of what the latest trends are. Restaurants have to research and stay ahead to make sure they match up to the expectations of the guests,” points Kheny by adding that if we want to stand out and be successful in the restaurant industry, we need to keep adding newer elements to make it exciting for the guests to keep them returning and to offer something new to the existing guests. Restaurants need to put an effort in creating more festive and seasonal menus time to time, so that a variety of ingredients can be used to make innovative and interesting cocktails. “As a trend we see that guests nowadays prefer having cocktails to straight drinks, Gin is coming back. People don’t necessarily ask for classic cocktails nowadays, they want different and exciting cocktails, the aim should be on the taste and the experience, presentation is important but should be simple and not always Instagram friendly, as the drink may look good, but not taste good,” he further adds. 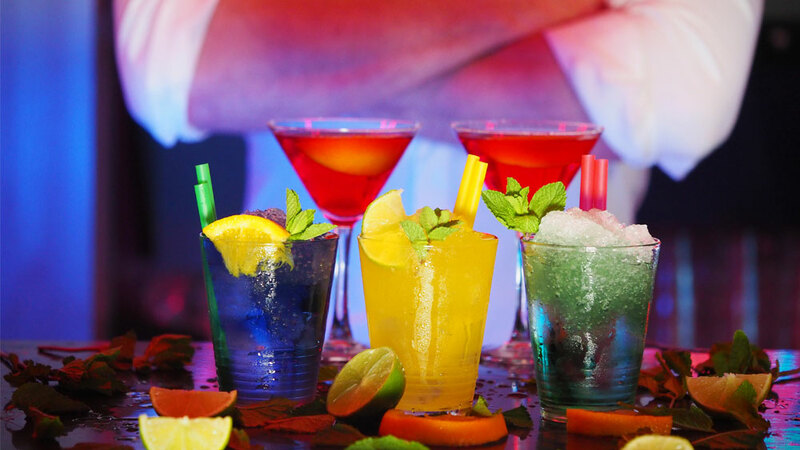 Thus, we can see that with cocktails gaining ground in bar menu, there is lot more to experience for the drinkers this year.